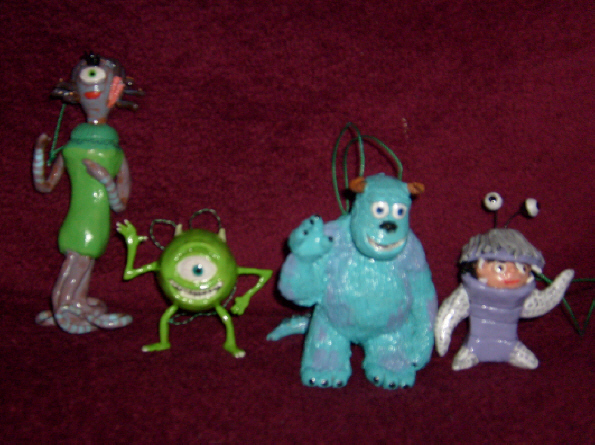 "Sculpey Ornaments - Monsters Inc. and More"
I made these ornaments out of Sculpey III clay. The first picture shows the Monsters Inc. characters, Celia, Mike, Sully and Boo. 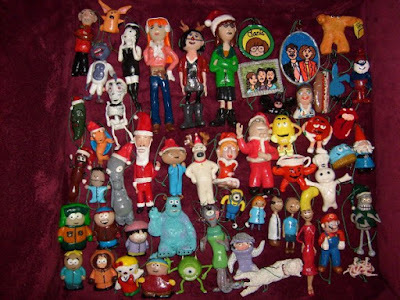 Family Guy, Oblongs, Some of my favorite commercials, Futurama, The Smurfs, Mario, Monsters Inc., Daria, Jeff Dunham, Drawn Together, South Park and American Dad. All of these ornaments were hand crafted by me with clay tools bought at Michael's Craft Store. Copyright © 2010 by Joseph Triche. All rights reserved.